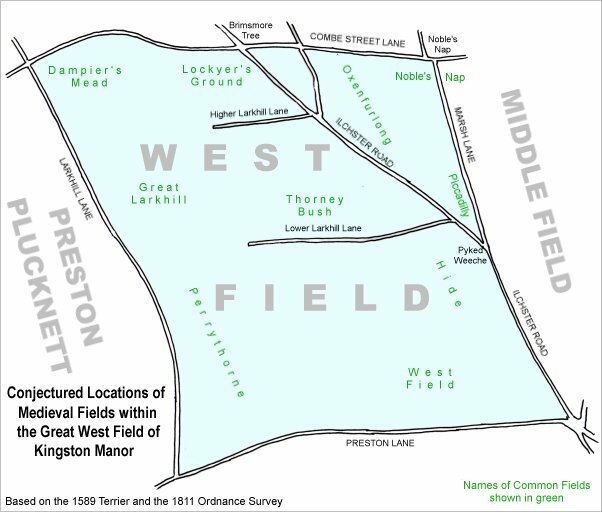 Originally a large sub-field, probably a common field, within the great Medieval West Field of Kingston Manor. By the end of the eighteenth century it had been broken up into several smaller parcels of which one retained the name Thorney Bush. This was still a fairly large field lying alongside the northern side of a field access track called Lower Larkhill Lane (which would become today's Stiby Road). 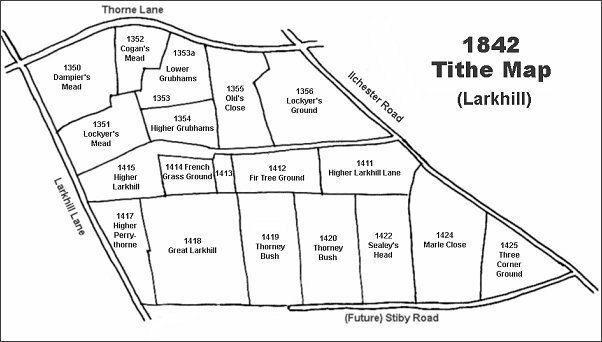 By the time of the 1846 Tithe Apportionment Thorney Bush had been further split into two; Parcels 1419 and 1420, both still called Thorney Bush. The Apportionment noted Parcel 1419 as 4a 1r 5p and used as arable land and that the owner was John Winter and the tenant Joseph Brooks. Parcel 1420 was 4a 1r 20p and used as pasture for grazing animals. It was owned by John Moody and the tenant was Samuel Dodd. 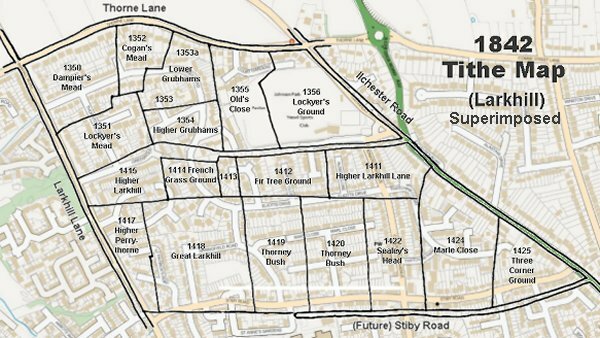 Thorney Bush was bounded to the north by Higher Larkhill (Parcel 1415), to the east by Great Larkhill (Parcel 1418) to the south by Larkhill Lane (today's Larkhill Road) and to the east by Sealey's Mead (Parcel 1422). 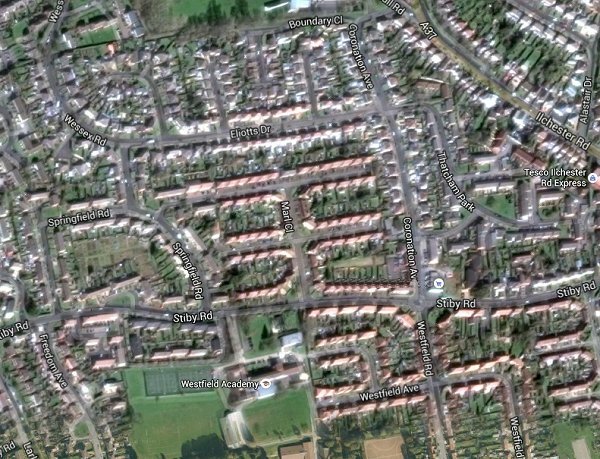 Today the site of the former Thorney Bush is occupied by the houses and gardens of Springfield Road and Marl Close. The Larkhill area reproduced from the 1842 Tithe Map. Thorney Bush is at centre bottom. 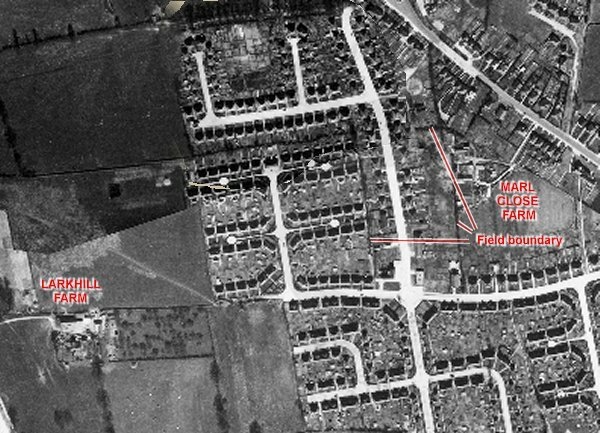 The 1946 aerial photograph - Thorney Bush is at centre with the newly-constructed Marl Close. 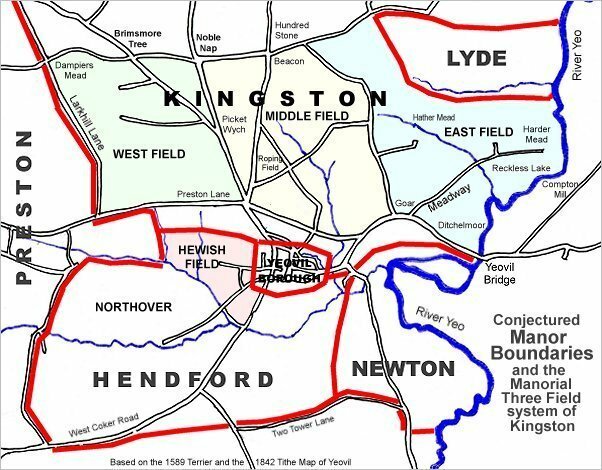 Right of centre Coronation Avenue and Westfield Road run top to bottom. Across the centre Lower Larkhill Lane has been partially constructed as Stiby Road.